It is altogether rather easy and convenient for the Colombian government, and institutions like the Ministry of Environment and Sustainable Development, to attribute the drought being experienced in much of the country to El Niño and the effects of climate change. They blame natural phenomena for the conflicts and the consequences of the scarcity of water. In the case of La Guajira, blaming the crisis of access to water on so-called natural phenomena diverts attention from the underlying causes that may have caused the conflict. A brief look at the recent history of this Caribbean coastal province raises concerns about the factors that have led to the current unsustainable situation. Taking into account the total transformation that La Guajira has undergone, where in less than 30 years the main water sources have been contaminated, captured, stripped and controlled by the mining and agricultural industries and by cattle ranchers, explanations about the water crisis in the region could be attributed to different causes than to natural phenomena. The communities displaced from their land constituted Afro-Colombians and freed slaves who had been living in the villages of Caracolí, Manatial, Oreganal, and Tabaco for more than two centuries. They remembered the abundance of water in the rivers, streams, springs and both surface and underground sources, where their cultures emerged and consolidated around water assets. So also say the indigenous communities who today live in provincial reservations or the mountain of Hato Nuevo and who value and remember the water heritage that nature and their ancestors put in their hands to establish and survive as native cultures, and that guaranteed them food sovereignty. In rural villages, as demonstrated by the indigenous leaders and Afro-Colombians, and thanks to the teachings of the knowledge of the elders, the land used to be fertile and productive, and they would cultivate it based on the security of the arrival of the rains and the provision of crystal clear water from the Rancheria River. Another common activity was fishing, and the benefits associated with grazing in riparian areas of rivers and streams. Coinciding with the disappearance and gradual pollution of water sources, over the last three decades, has been the development on the north coast of Colombia of open pit coal mining by the multinational company Cerrejón. It is not a secret that all mining necessarily involves impacts to water and environmental conflicts over water as a result of privatization of water sources. This can be attributed to factors such as the appropriation of large quantities of water for mining use, and the contamination from the mining and the removal of “sterile” material which when exposed to atmospheric conditions (water and air) undergoes a chemical reaction, generating hazardous chemicals that irreversibly impact watersheds. Nor is it a secret that the multinational company Cerrejón uses exorbitant amounts of water. The management plans indicates that Cerrejón extracts 17 million liters each day from the Rancheria River to water the roads where the trucks travel – thus trying to keep the dust down – which in any case always pollute water sources and the air. Meanwhile, the average person in the high Guajira, according to the UNDP, uses 0.7 liters of water per day. When considering these figures, it is undeniable that there is monopolization of water by Cerrejón, and this contrasts dramatically with the lack of access to water to sustain life for the Guajira population. While the company port has desalination plants to ensure water for mining and their workers, in the High Guajira, as stated, there is less than one liter of water per day, and in the middle Guajira they haven’t reached the standards recognized by the World Health Organization and the United Nations, a minimum average of 50 liters of water a day for a dignified life. The appropriation of water for mining use in rural territories has dried up sources that in the past guaranteed the livelihood and the development of the cultural heritage of the people. According to indigenous and Afro-descendant communities in the region, the streams of Tabaco, Cerrejoncito, Araña e’ gato, Bartolico and others have disappeared as a result of mining activity. Some were diverted to deliver water to the mining complex, others were contaminated by coal dust and others were deepened as a result of mining blasts. Under the present conditions in the region, where territorial changes have gone hand in hand with hoarding and control of water by multinational companies, water scarcity is clearly a phenomenon generated by human activity. It is important to demystify the discourse created to legitimize the drought of La Guajira as a result of a natural phenomenon, when it is really the result of water grabbing and its use in activities contrary to the needs of human, animal and plant life. Furthermore, the control of the water assets of the Guajiro people has an additional component. The communities have denounced the militarization of water sources to prevent people accessing them. This situation, using the armed forces of the state in the service of a company, is a clear blurring of the rule of law and the functions and duties of the Colombian state. Now, returning to the causes of drought in La Guajira, and referring to the national government’s explanation that the phenomenon of El Niño is to blame, other questions arise. If this were the case: For how many years has the phenomenon of El Niño been present in Colombia? How has a public water policy been developed according to geographic realities and seeking to prevent such events (e.g., droughts)? Undoubtedly, the national water policy has been developed with the marked absence of analysis of territorial realities. This is to say, wilfully ignoring the concrete needs of the people while supporting the pursuit of profit for the corporate sector, principally the transnationals. This is evidenced by the history of the privatization of water management, initiated in 1994, coincidentally on the Caribbean coast of the country, one of the places that has suffered from severe drought and lack of access to clean water. And so it is that El Niño and the trite discourse of climate change seem to function more as excuses for concealing the possible real causes of drought facing the country. The confluence of multiple crises this year, such as in March in the eastern plains where more than 20,000 animals died (without anyone saying a word at that point about El Niño), point to extractivism as the underlying cause of the drought spanning Colombia. There’s a clear absence of public water policy adequate to the geography and characteristics of the people and land in the country. Instead, we should demand the rigorous protection of the essential ecosystems that regulate the water cycle be guaranteed, in compliance with constitutional principles and the guarantee of the right to health, to food, to enjoy a healthy environment, among others, and in the exercise of territorial sovereignty, in compliance with international commitments signed by Colombia to guarantee the human right to water. Indeed, this has been the just and urgent demand of a massive number of organizations, processes and social movements over the last few years through the proposed Referendum on Water, which would bring profound solutions to the table to address the structural causes of water conflicts here in Colombia. Given our present situation, there is an urgent need to design a national water policy according to the worldviews and traditional practices of Colombians in areas where today’s children die from thirst and malnutrition, and thus guarantee the possibility of life of the people and remaining in their land. This should be prioritized over the privileges that the extractive industry currently enjoys in all its nefarious forms and manifestations. 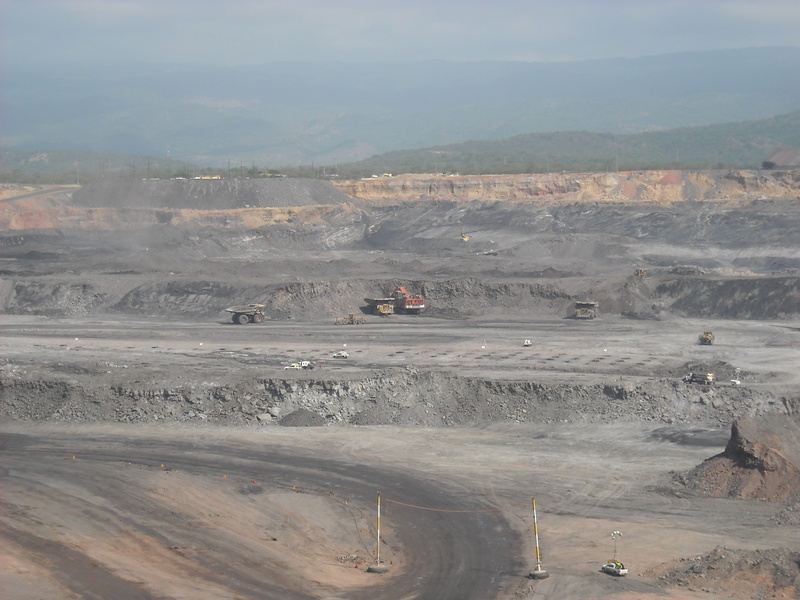 For all LMN’s articles on the Cerrejon coal mine in Colombia, see http://londonminingnetwork.org/?s=Cerrejon. The Cerrejon mine is owned by London-listed companies Anglo American, BHP Billiton and Glencore.